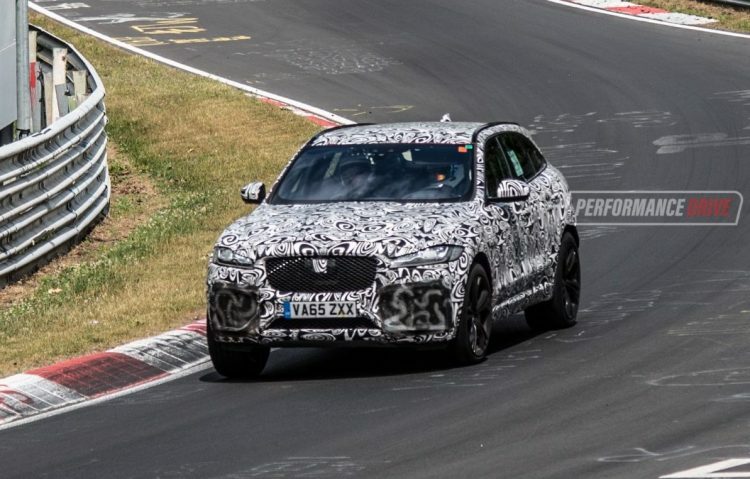 Jaguar’s hypo F-Pace SVR V8 will reportedly debut at the New York auto show this week, giving the Alfa Romeo Stelvio QV and Mercedes-AMG GLC 63 a run for their money. At the moment there are only two super high-performance medium-size premium SUVs on the market; the Stelvio QV and the GLC 63 – excluding the less-insane Porsche Macan Turbo and BMW X3 M40i. But that will soon change with the introduction of the F-Pace SVR. Jaguar Land Rover’s Special Vehicle Operations team have been working on this beast for a while now, with many prototypes spotted out and about. 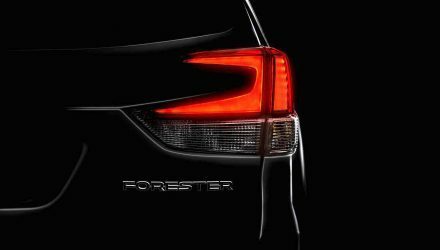 According to a recent Autocar report the debut will finally take place at this week’s New York show. 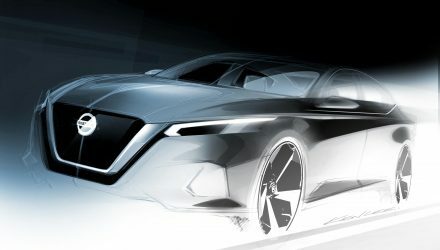 It will be showcased with unique body trimmings that hint at its performance credentials, while under the bonnet is set to be a 5.0-litre supercharged V8. Outputs are yet to be officially confirmed but the aforementioned report predicts the full 423kW and 700Nm will be on tap. You see, Jaguar currently offers this engine in various tunes, ranging from 375kW, 405kW, to 423kW. It even produces up to 441kW in the case of the special edition XE SV Project 8. With 423kW available it could walk in as the most powerful SUV in the class, and one of the most powerful SUVs outright. 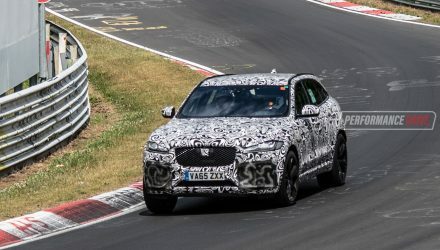 This means we could see a 0-100km/h time of under 4.0 seconds, considering all that grunt will be sent into an all-wheel drive system via an eight-speed auto. Like the Range Rover Sport SVR, the F-Pace SVR is expected to come with sports suspension that lowers the vehicle a smidge, along with massive multi-piston brakes to help harness some of that force. 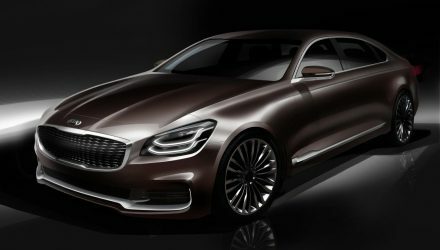 We can also expect unique alloy wheels, quad-outlet exhaust, and a neat aero kit. Jaguar Land Rover is apparently looking to expand its SVO production output, from the current 3500 annual units to around 5000. With the F-Pace on board, the goal shouldn’t be too difficult to reach. The New York show starts on March 28 (press day).